Vital+Morph is a prototype of an organic interface that proposes an unusual viewpoint of the relations between bodies, clinical data, and future computational materials. 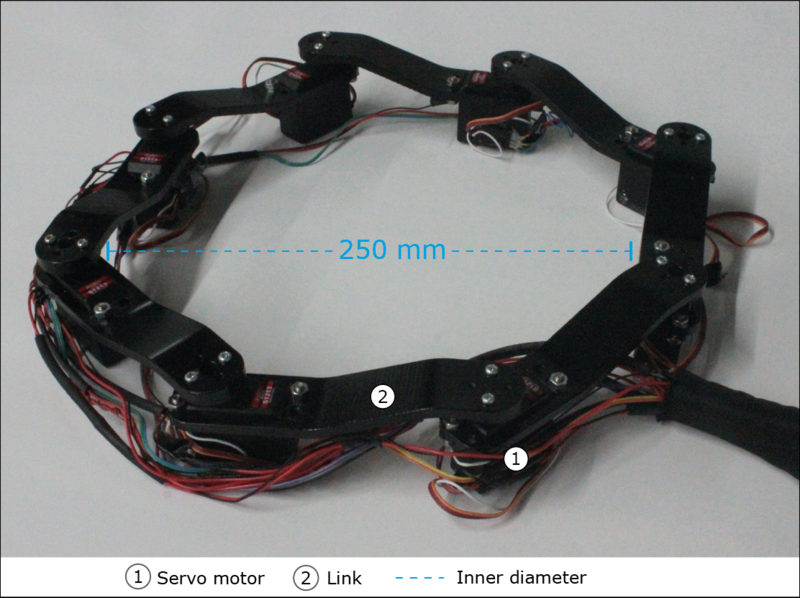 Vital+Morph is intended to be used as a medium for remote physical connection and emotional awareness between people hospitalized in an intensive care unit and their relatives. How to physically engage with clinical data? How can we make them alive again? Signals coming from a Vital Signs Monitoring Station are physicalized into a series reactive tangible objects. Through them, a person can feel the internal state of a hospitalized patient, as a new form of co-monitoring. These elements are surrounded by a moldable interface that helps remote persons to share their physical presence. By using today’s available technologies we wanted to create a perceptual equivalent of novel computational materials and explore their social impact in complex contexts such as healthcare. 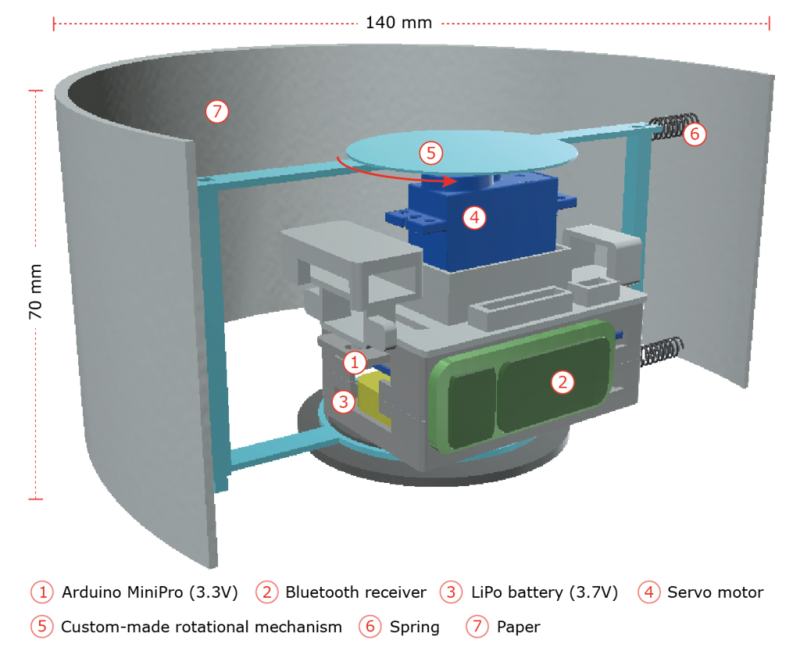 Developed at the University of Tsukuba (JP). In collaboration with Kai Sasaki, and Shori Kano. 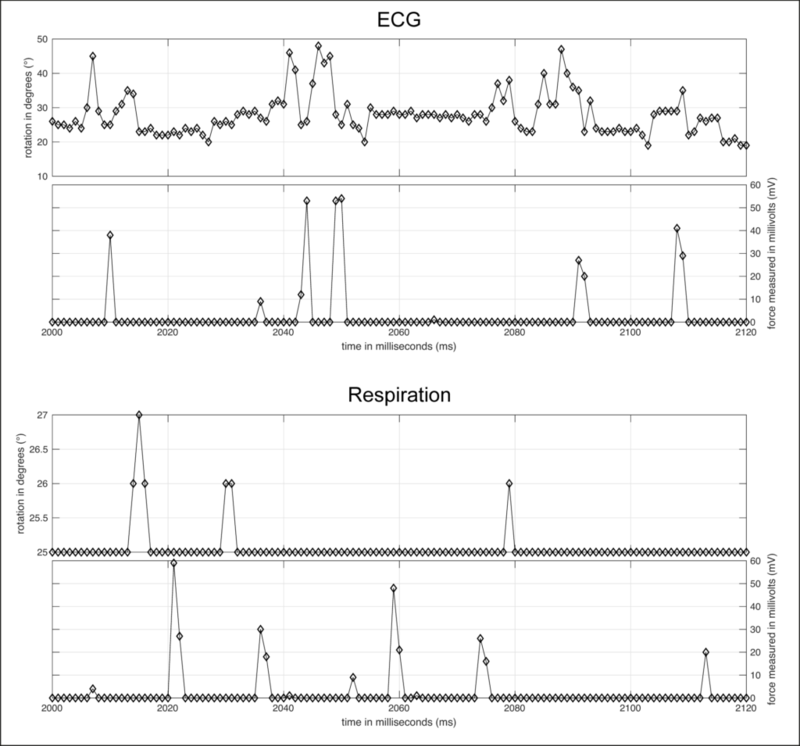 The complete Vital+Morph (left), simulation of a Vital Signs Monitoring Station (center), an additional Morph (right). A patient is locked inside an Intensive Care Unit (ICU). Her parents receive the Vital Signs through Vital+Morph, which makes them physical through shape-change. 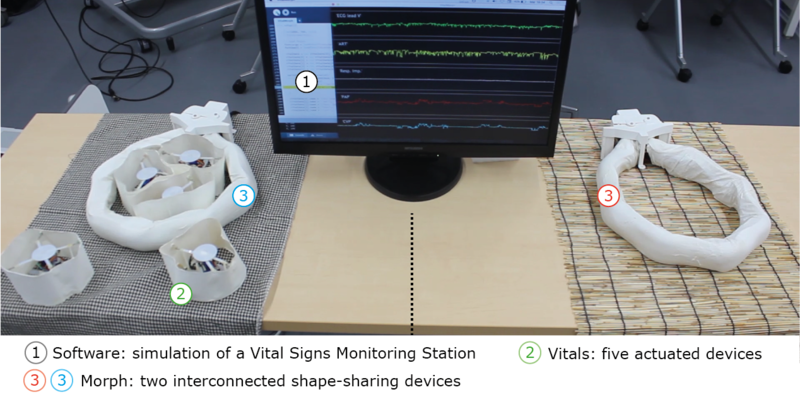 The current prototype of Vital+Morph is composed of a software that simulates a Vital Signs Monitoring Station that transmits wirelessly each data to a corresponding VITAL element. In parallel, two MORPH elements are synchronized to transmit their shape remotely. The current version of Vital+Morph is composed of five VITAL elements. Each VITAL makes a specific Vital Sign physical. The function of the VITALs. The components of each VITAL. 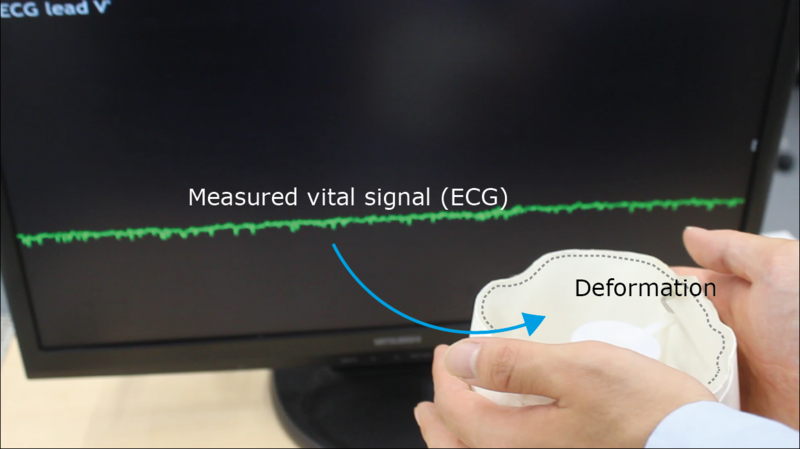 The physicalization of the Vital Signs can be experienced not only visually (through shape-change) but also haptically, since the changes in the data produce a noticeable force on human’s hands. The MORPH elements contain the VITALs, but they can also be used to transmit and receive their shape. One user can deform one MORPH, another user (located in a different place) can receive such deformations on his/her MORPH element. 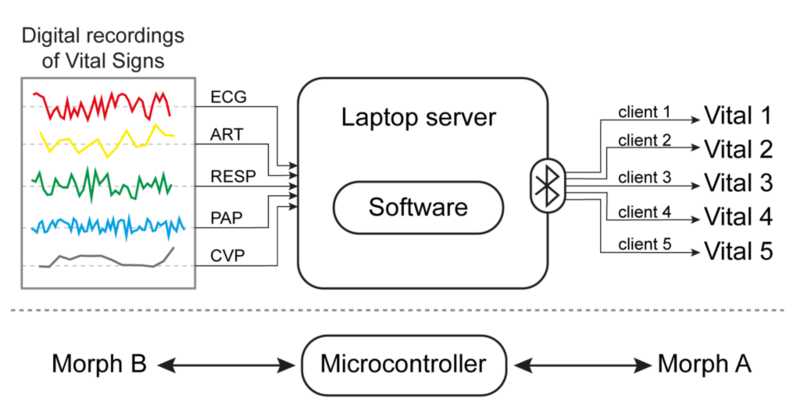 Two MORPHs remotely connected in two different places. The mechanism of a MORPH. Users experiencing Vital+Morph at the Ars Electronica Festival 2016 and Tsukuba Media Art Festival 2016.